We all know that eating a balanced diet rich in vegetables is important for our health but some food is better for our health than others. 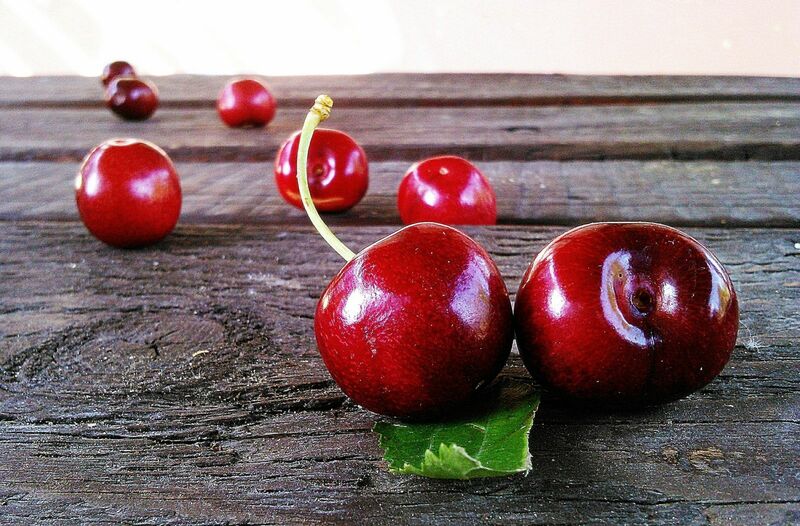 Cherries have high levels of anthocyanins, which are plant pigments found in red and purple fruits. Anthocyanins have strong antioxidant and anti-inflammatory properties and are also present in blueberries and raspberries, but cherries have the highest levels. As a result, studies have shown that regular consumption of cherries, cherry juice, cherry extract, and even cherry extract pills prevents gout attacks. Gout is a form of arthritis that most commonly affects the joints of the feet. Attacks of gout are very painful and usually last one to two weeks. In addition, some studies have even shown cherry product consumption to reduce the pain and inflammation of osteoarthritis. This is thought to be the result of the anthocyanins reducing the level of C-reactive protein circulating in the blood. C-reactive protein (CRP) is a marker of inflammation that can be measured with a blood test ordered by your doctor. Spinach and other dark green vegetables are very high in B vitamins. The B vitamins, particularly folate, are vital for nerve health and are important for the prevention and management of peripheral neuropathy. Neuropathy is a condition where nerve function begins to deteriorate and it usually attacks the feet before any other parts of the body. Neuropathy is most commonly a complication of diabetes, is also often associated with other medical conditions or even as a unto itself. A diet rich in leafy green vegetables can help to offset its effects. Spinach is also rich in riboflavin, which is important for skin health and rejuvenation. The skin on our feet is often the most traumatized skin on the body, so eat a green leafy vegetable-rich diet to maintain your skin’s tone and elasticity. Salmon and other “fatty fish” are rich in omega 3 fatty acids. These healthy fats have been shown to produce a multitude of health benefits. Omega 3’s have a natural anti-inflammatory effect, which has been shown to reduce the effects of both osteoarthritis and rheumatoid arthritis in the feet as well as other parts of the body. Omega 3’s also help to reduce the clumping of platelets in the blood stream. Platelet clumping is a direct cause of blood clots in the veins, called deep vein thromboses (DVT’s), which most commonly affect the lower extremities. DVT’s in the calf area are very painful and can be a life-threatening condition because a piece of the clot can break off and circulate to the lungs. A diet rich in omega 3’s significantly reduces the risk of DVT formation. Salmon and other omega 3 foods are also very important for skin health. They promote the strength of the cell membrane of skin cells, which decreases wrinkles and prevents premature aging of the skin. They also help to maintain an appropriate moisture level in the skin. This is especially important in the feet where the skin tends to either dry out or be overly hydrated. Nuts are high in both magnesium and omega-3 fatty acids, which help to promote bone health and reduce the inflammation associated with arthritis. Nuts are also helpful for both heart health and circulation to the legs and feet because they act to decrease bad cholesterol (LDL) and increase good cholesterol (HDL) in the blood. This reduces the risk of plaque formation in the arteries and, therefore, the risk of heart attacks and impaired circulation to the feet. Interestingly, regular consumption of nuts in lieu of other carbohydrate-rich foods has been found to lower blood sugar and reduce the negative effects of diabetes. Yogurt is extremely rich in Vitamin D and calcium, which are essential for healthy bones. A diet rich in calcium and vitamin D has been shown to reduce the effects of osteoporosis. Osteoporosis can be devastating to the feet and can result in stress fractures and joint damage. Yogurt contains probiotics or 'good' bacteria that help with digestion. Yogurt also has very strong anti-fungal properties and has been promoted to decrease the effects of athlete’s foot. Some studies not only recommend the consumption of yogurt, but even soaking the feet in yogurt to prevent and treat athlete’s foot conditions. Maybe even more importantly, water can be beneficial to the skin when applied from the outside. For example, soaking the feet in water with Epsom salts has been shown to relieve pain, reduce inflammation, and alleviate the symptoms of infections. Your body (and feet) deserve the best, so give it the fuel it deserves! Invest in your health by eating a healthy diet, drinking plenty of water and staying active. Talk to your podiatrist about what you can do to keep your feet healthy, or to schedule a consultation with a foot and ankle specialist call 562-433-0478.